Remember the Tomy Waterfuls? If not, it was a handheld toy that was popular in the late 1970’s and 1980’s. 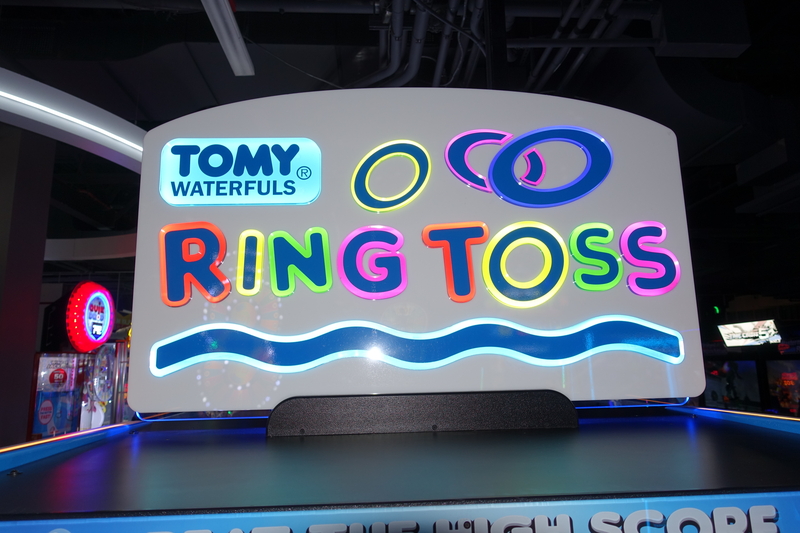 The object of the game was to fill the toy up with water, put the plug in and then use buttons to produce invisible jets within the water to “toss” the rings onto the pegs inside. You probably had one when you were a kid but chances are that you forgot about it – until you see this arcade game that is! 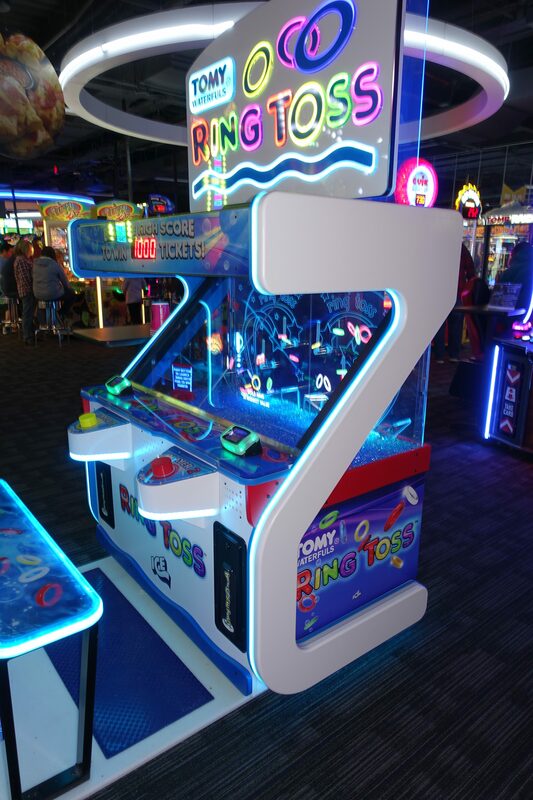 The best thing about this new version is that it does not leak water all over the place like the toy did, so your parents – and in this case, arcade operators – will not get mad! 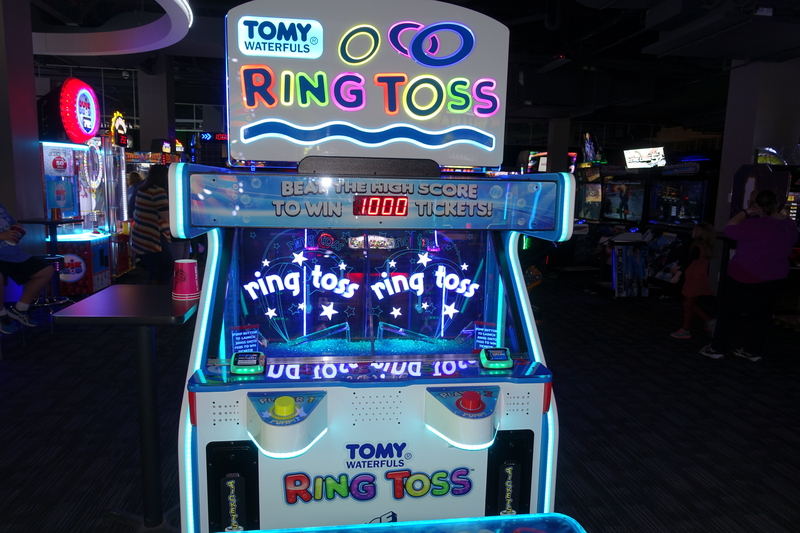 This 1 or 2 player ticket video redemption arcade game is made by ICE and the object is the same as the Waterfuls toy: get the rings onto the pegs to score tickets. Setup in a similar manner to other psuedo-holographic games out there (like Fishbowl Frenzy), this uses real pegs while the water effects and the rings are all video. 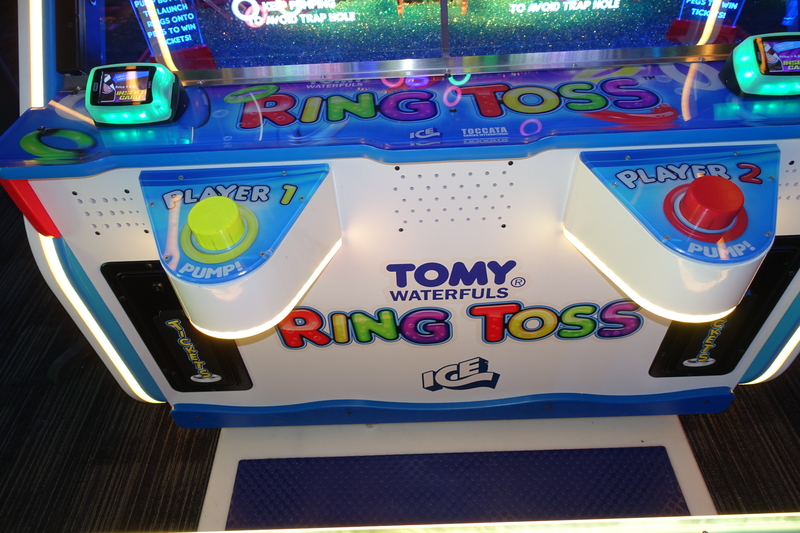 There is a yellow button for Player 1 and a red button for Player 2 on the machine that you use to pump the rings up in the air. The button on the game is pressure sensitive making the game entirely skill based. There are 2 pegs per player where you have to land the rings; different colored rings have different point values. It’s currently located at Dave & Busters Buffalo in the Walden Galleria Mall in Cheektowaga, NY. A closer look at the control panel. Single button play, very easy to play. well in modern arcades. There is also a chance it will be at the Amusement Expo 2018 event in Las Vegas next week but I have not confirmed that yet. In this video I play this game twice to show how it works. I did say in the video there are 3 pegs to land the rings per player however there are only 2.